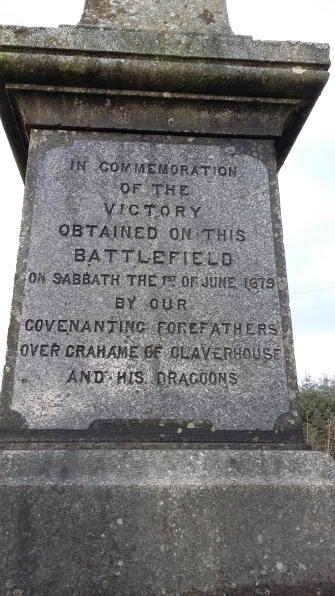 This page will list short notices of other Covenanters and locations associated with the parish of Avondale (Strathaven) in Lanarkshire. John Barrie and William Paterson. Strathaven (or Avondale) Castle was erected around 1458 by Andrew Stewart, 1st Lord Avondale. During the years of the Covenant, the castle was used as a prison for Covenanters, and two Covenanters are said to have been shot here. A well-head at Hillhead farm, Caldermill (west of Strathaven) marks the spot where a government soldier who fought at the Battle of Drumclog is thought to have been killed by the Covenanters and been dumped.